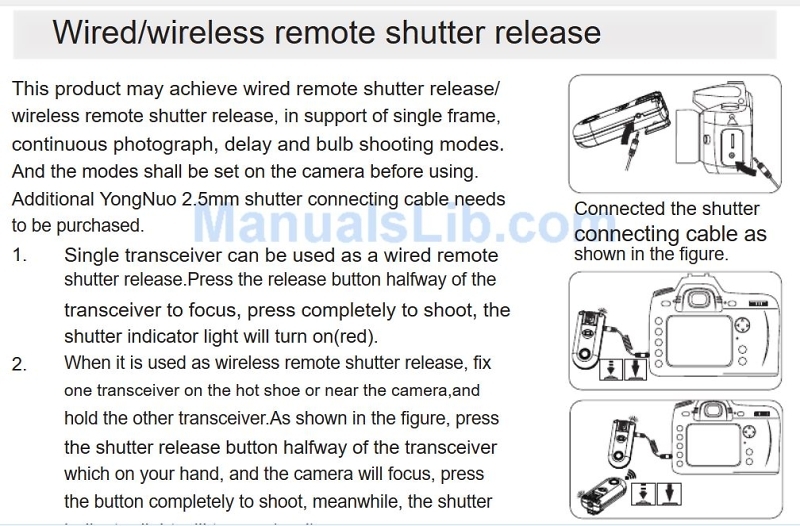 Home > Pentax User Forum > Troubleshooter Forum > Yongnuo RF602 as a remote shutter trigger...? Has anyone used any of the Yongnuo rf triggers to remotely fire the shutter on a Pentax camera ? I'm trying to connect them to my K1 to fire the shutter but without success. Trigger is firing reciever is recieving the signal. Connected the reciever to the X-sync socket on the K1 But the shutter isnt firing.. Also tried setting the remote setting on shutter menu. No success. So is it possible ? What am I doing wrong ? Just in case it helps anyone with a similar problem, how did you solve it Stuart? Oh ok... I had earlier watched a you tube video where they were remotely firing a Nikon camera. I thought thats not a bad idea. You get far more range than the little Pentax remote trigger. But in the video they connected the Yongnuo receiver to what looked like a sync socket. So I was being a bit thick (Some on here would say im always thick...lol) And connected the lead from the Yongnuo receiver to the X-sync socket on the K1. receiver was getting the message but no shutter release.. Then the penny dropped. The lead from the receiver should be connected to the remote Jack socket. Changed it over and, hey presto.. all worked perfectly. Lens auto focused with a half press and shutter fired with a full press.. I used the RF603 units but it will also work with the RF602 unit or a combination of.. Also does not matter if they are Canon or Nikon model triggers. Obviously the trigger unit will be in TX mode and the receiver will be in TRX mode in order to work..
Just found this...!! I actually connected my lead to the sync socket on the Yongnuo unit.. As I didn't have a 2,5 jack each end to hand. Seems to give the same outcome.